As the lines continue to blur between Chrome OS and Android, some once-crazy-sounding concepts are about to shake up mobile computing as we know it. You know that feeling when a band you've followed for ages finally starts to get its due — when the right album at the right moment helps the skeptical masses see all that raw potential you've long been applauding? That's precisely what's happening right now with Chrome OS. The platform's been picking up serious steam and winning mountains of overdue praise these past few months — and if Google has its way, that momentum won't be letting up anytime soon. Up until now, the saga of Chrome OS's rise has been more slow march than dramatic leap. Those of us who watch the platform closely have seen the seeds of something significant for years and have observed as Google slowly but surely built up a garden to nurture them. Now, that garden is in full bloom — and it's poised to grow in some wild new ways. And sure enough, here we are: Android and Chrome OS have evolved into different but complementary platforms with their own distinct but complementary purposes. Their alignment shot into overdrive in 2017, with the launch of a new Android-reminiscent launcher and navigation system for Chromebooks, the debut of Google Assistant on Chrome OS, and, of course, the formal introduction of Android apps on Chromebooks in a broadly available sense — perhaps the most transformational move of all. The next steps of convergence between Android and Chrome OS will only help to solidify that reality as more and more hardware-makers get on board with the concept. ... Each individual piece of the puzzle may not look like anything monumental in and of itself — but add 'em all together, and you start to see the forest for the trees. And even just a month into the year, what a forest it's shaping up to be. Google just released a new stable version of Chrome OS — and almost every single new feature highlighted by the company pertains directly to the way Chromebooks interact with Android apps or function as tablets. The OS update introduces an Android-like method of capturing screenshots along with more natural integration of Android apps and web apps, some enhanced security measures for Android apps in the Chrome OS environment, and some touchscreen-related enhancements. This same software version is also where Google's been working on making Android apps run more effectively in the background, allowing for better (and less selective) system-wide multitasking. This isn't the end, either — far from it. Google still appears to be working on native fingerprint sensor support for Chromebooks, an Android-esque system-wide voice-to-text function, and Android-like support for inline notification replies. And those are just the projects we know about. Again — and trust me, this is critical — all that stuff serves the same basic goal: to get the Chromebook ready to support Google's platform-defying vision for the future of large-screen computing. And that's where the next big push begins. Now that the foundation is ready, Google can start expanding its Chromebook catalogue by bringing in devices that deliver a true tablet experience — not a convertible tablet experience, as we've seen so far, but a slate-and-nothing-more pure tablet experience, with Chrome OS at its core. It's something that's been conspicuously missing in the Chrome OS ecosystem, even as this Chromebook-as-a-tablet narrative has taken shape. Other reported spottings soon trickled in, and the enthusiast website Chrome Unboxed connected the device to open-source code submissions for an under-development product. This connection to education, however, is as relevant as any specifics about the tablet itself. Why? 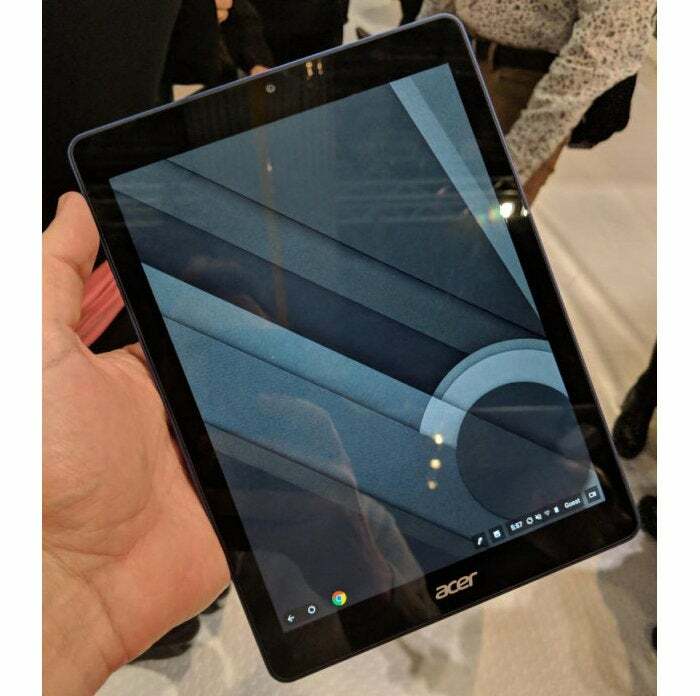 Simple: The education market has been responsible for much of Chrome OS's success and growth — and so it speaks volumes to see a device like this pop up at an education event intended to show teachers what technology is heading their way. For perspective, Chromebooks — which made up less than a single percent of the education market in 2012 — accounted for just over half of all devices sold for U.S. classrooms at the end of 2015. A year later, that figure jumped up to 58%, and by 2017, Chromebooks had climbed up to 60% of all U.S. education shipments while Windows had 22% and the once-unstoppable-seeming Apple had a combined 17% for MacOS and iOS together. In a mid-2017 survey, meanwhile, 42% of school officials said Chromebooks were used more than any other type of technology in their districts. "PC laptops" trailed in at 15%, while "PC desktops" and iPads commanded a mere 13% each. Equally significant: In that same survey, an overwhelming 68% of school leaders said Google's G Suite software was being used most frequently in their districts, followed by Microsoft's productivity suite at 17% and Apple's product at a meager 1%. Schools may be giving Google more than they are getting: generations of future customers. Google makes $30 per device by selling management services for the millions of Chromebooks that ship to schools. But by habituating students to its offerings at a young age, Google obtains something much more valuable. Every year, several million American students graduate from high school. And not only does Google make it easy for those who have school Google accounts to upload their trove of school Gmail, Docs and other files to regular Google consumer accounts — but schools encourage them to do so. This month, for instance, Chatfield Senior High School in Littleton, Colo., sent out a notice urging seniors to "make sure" they convert their school account "to a personal Gmail account." That right there is what we call investing in loyalty and the creation of future customers. Yet again, it's Google planting seeds — the fruits of which are little by little starting to show themselves in the world. And there's more yet to this rapidly unraveling tale. For one last important bit of context, consider the timing of this latest twist in the Chrome OS saga alongside the current state of the education-tech market. The short version is that the market today is a far cry from what it was even just a few years ago, when Chromebooks first came onto the scene. 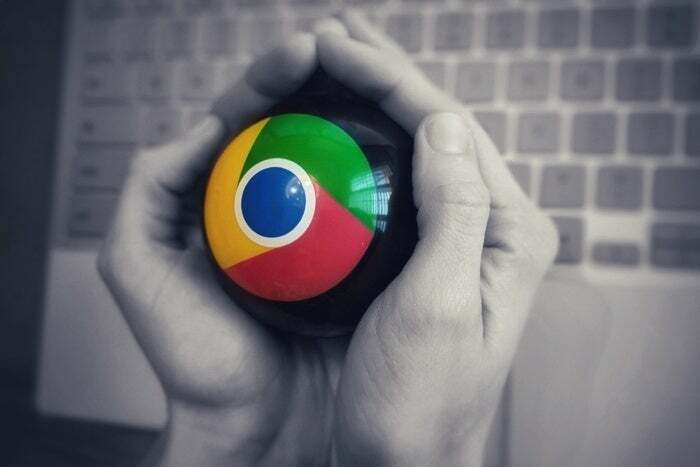 According to Futuresource Consulting, which has conducted much of the available market research in this area, we've reached a point where the "majority of market demand is expected to be replacement demand" — and, what's more, "convincing existing Chrome users to completely change the existing ecosystem will likely not be easy due to the time and cost involved." Saying such a shift would "not be easy" almost seems like an understatement. Schools in particular aren't known for embracing major platform migrations with open arms. And unless some new option offers a meaningful amount of savings and/or tangible benefits — as the shift to Chrome OS once did — convincing a district to abandon its investments in hardware, ecosystem, and training seems like a seriously tough sell today. All of this adds up to good news for Google as it begins the next phase of its Chrome OS takeover — the move into traditional tablet terrain, aka iPad Land. While the effort to create a tablet platform around Android itself never quite caught on, this new effort has plenty of advantages over its predecessor — elements like the fast-booting, inherently secure, and free from manufacturer- or carrier-meddling Chrome OS environment; the software updates delivered directly by Google every two to three weeks, for a minimum of five years; and the simple fact that an existing army of devices and users is already sprawled out and active all around the world. So at the end of the day, is a slate-like device that runs Chrome OS and supports Android apps an "Android device"? For most practical purposes, yes — even if technically, no. Is it also a "Chromebook"? Absolutely. More significantly, though, do such distinctions even matter anymore? Not really — and as the platforms converge further and the experience continues to become more about the ecosystem than the operating system, those heavily blurred lines will become increasingly irrelevant.